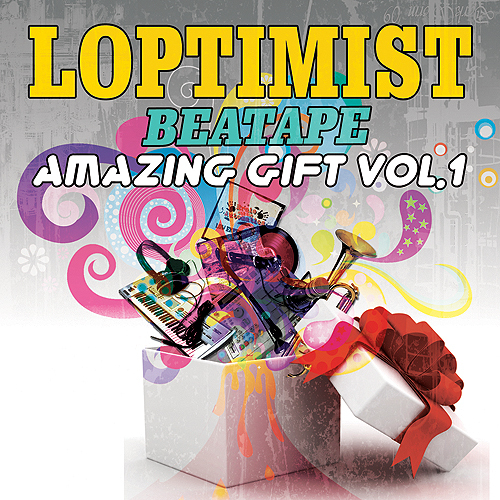 Soul Company member and hip-hop producer Loptimist plans to release his beat mixtape [Amazing Gift Vol. 1] through HipHopPlaya.com. The mix tape [Amazing Gift Vol. 1] was first available at last week’s Soul Company Show “Still A-Team” and was received with positive response from the audience (note: only 200 copies were sold during this show). The beat mixtape will be available online (via HipHopPlaya) for hip-hop fans who were not able to attend the concert last week. Loptimist’s [Amazing Gift Vol. 1] features instrumentals of his popular tracks ‘Black Cancer‘ and ‘Dear Unknown’s‘ from his first album [22 Channels], a track called ‘Move’ featuring Mad Clown, a collaborative track called ‘Apgujeong Man‘* which includes scratching by DJ Dopsh, and a hip-hop rendition of the classic popular song ‘Moon River‘. The three above tracks will be available online on January 5, 2011 through music portal websites. The three tracks can be seen as Loptimist’s gift to his fans for supporting him throughout the years in releasing his third album. Loptimist is currently expecting to release his third album in early 2011. His third album is now available for pre-order, and the three tracks from [Amazing Gift Vol. 1] will be available on January 5, 2011 through various music portal websites. *Apgujeong refers to a “residential, fashion and shopping district in the Gangnam district of Seoul” (source: Wikipedia). do you know where to get this instrumental, if you can, I will trade you with Ugly Duck’s mixtape or Huck P’s mixtape!! !